Joseph P. Cray is an American manufacturer who has just completed a year serving coffee to the troops in France during World War 1. He is motivated by good will, and also to escape his American second wife who is the head of a temperance organization. With sybaritic glee, he returns to London, dons civilian garb, and enjoys his first cocktail. He is soon joined by his daughter, the beautiful Lady Sara Sittingbourne, who lives in London. Together the two seek „adventure" in the form of crimes foiled, jewels recovered, spies uncovered, and plots smashed. 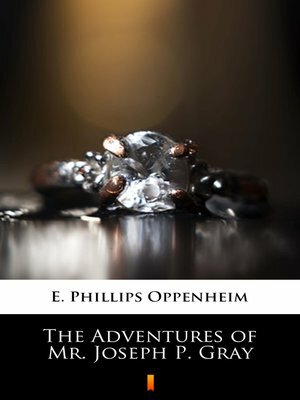 Edward Phillips Oppenheim was an English novelist, in his lifetime a major and successful writer of genre fiction including thrillers.